Vitra Miniature Big Easy, Arad: Produced and distributed by Vitra Design Museum, Weil am Rhein/Germany after an original model by One Off Ltd., London. All rights reserved. 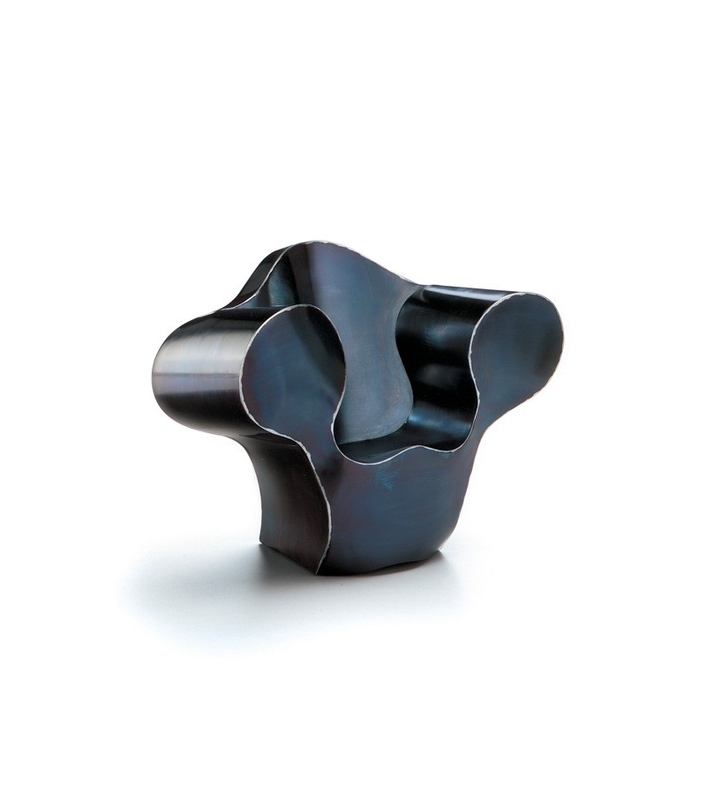 In 1988 and 1989, Arad’s London »One Off« work shop created an entire series of »Big Easy« armchairs using bent sheet steel welded at the edges. Vitra Miniature Big Easy, Arad: Produced and distributed by Vitra Design Museum, Weil am Rhein/Germany after an original model by One Off Ltd., London. 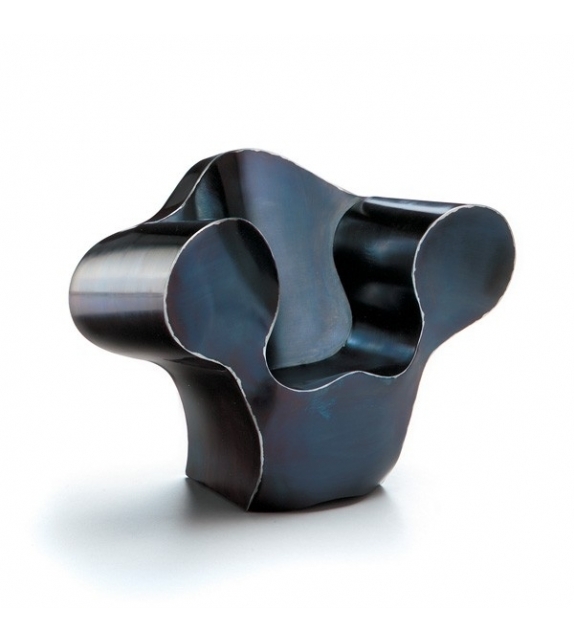 With the kind permission of Ron Arad, London. All rights reserved. 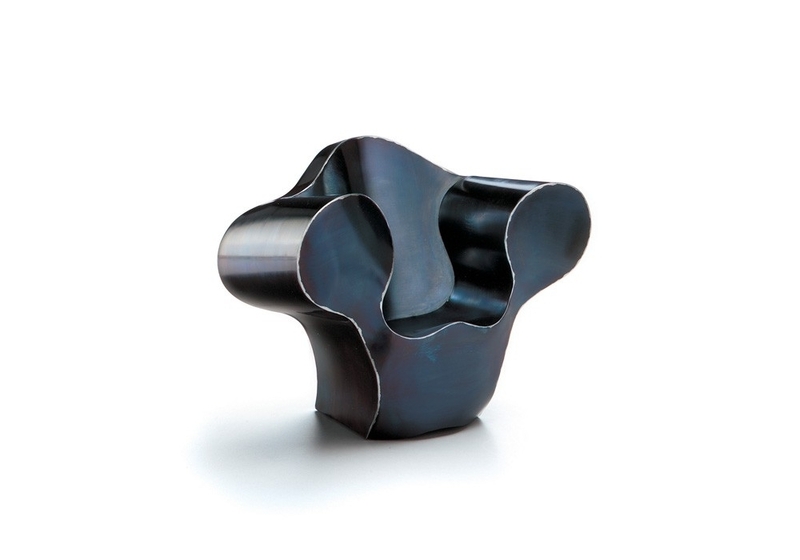 In 1988 and 1989, Arad’s London »One Off« work shop created an entire series of »Big Easy« armchairs using bent sheet steel welded at the edges. The »Big Easys« were brought out as individual itemsor small limited series; they all had a striking basic form and inflated arms reminiscent of comics – but they differed in terms of the welding and color. In the course of time, the initially oarse, roughly welded »Big Easys« went through changes, first becoming colorful lacquered chairs with smooth surfaces and then elegant versions made of polished stainless steel. Although Ron Arad’s furniture are variants on everyday things, they seem strange and irritate the eye – not only owing to the choice of material.Formally and functionally speaking, they undermine customary assumptions. You feel you have to first learn how to use them. A »Big Easy’s« voluminous steel body of the »Big Easy« resembles a traditional upholstered club armchair but can hardly be associated with a sense of comfortable interiors. Ron Arad considered it an art object that could likewise be functional, but was not intended to be particularly practical. Stainless sheet steel.